Historic Annapolis is one of the leading historic preservation sites in the United States. Founded in 1952, the organization has worked tirelessly to preserve buildings, gardens and artifacts from early American and colonial times and create meaningful exhibits to present to the public. This unique collection in the heart of Maryland’s capitol gives visitors an amazing opportunity to learn about the early life of our nation. 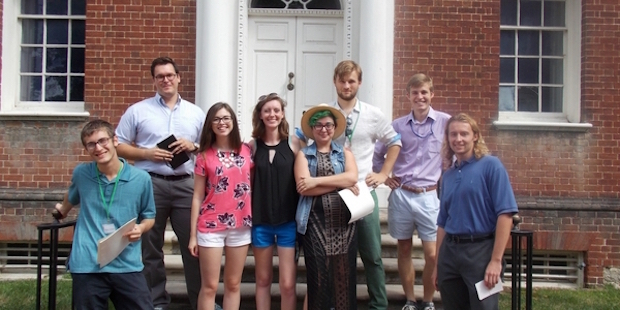 Each summer, InterExchange is proud to sponsor students from Oxford University who are invited to intern with Historic Annapolis and learn from this exemplary museum. The incredible reviews from their interns have made them one of our star host employers. We’d like to celebrate their contribution to the J-1 program by letting the students tell you in their own words. The friendly atmosphere, professional manner, and high quality research of Historic Annapolis made it a fantastic place to work. The organisation also modelled well the interplay between the community and the work of HA to preserve their local history sensitively and accurately. It was a wonderful insight into a very interesting field of work, and the inside perspective we experienced was a great foundation for further engagement in the heritage and culture sector. "The inside perspective we experienced was a great foundation for further engagement in the heritage and culture sector." James S., from the U.K.
My internship so far at Historic Annapolis has been a hugely fun and rewarding experience. It has been extremely varied: from giving tours, to historical research, to helping with summer camp, it has shown the range of work that an organisation of this sort, committed to preserving a town’s history and heritage, has to offer. The team at Historic Annapolis has ensured that, in addition to the usual work routine, there have been many cultural opportunities to learn about the history of Annapolis and the surrounding area. Highlights so far have included trips to various historic houses and behind-the-scenes tours, including of the Maryland State Archives and Riversdale Plantation. 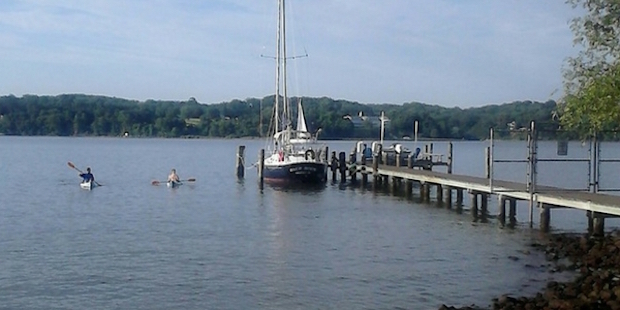 "My internship so far at Historic Annapolis has been a hugely fun and rewarding experience." Historic Annapolis has been keen to involve its interns fully in meetings and discussions to give them a full experience and taste of what it might be like to work in the sector as a career. Gareth B., from the U.K. Historic Annapolis went out of their way to make the internship more than just work experience - we had many cultural events organised for us outside of office hours, which made it a much more rewarding experience. Also, there was a lot of freedom to pursue a project of my own choosing, meaning it was constantly interesting and exciting. Highly recommended. "It was constantly interesting and exciting." Molly J., from the U.K.
"I'm interning with Historic Annapolis for 7 weeks and I'm currently being supervised by lead Historian, Glenn Campbell, as I help contribute to the organisation's upcoming 'Annapolis in 99 objects exhibition.' My particular focus is Confederate sympathies within Civil War Annapolis, and as part of this I have been instructed to research several objects including a slave doll and the wartime correspondence of a local family. "Glenn has also managed to create a workplace environment which fosters a real collaborative spirit." Historic Annapolis is really committed to worthwhile internships, and throughout my placement I've certainly felt as though my research is very tangibly contributing to the organisation's work. Glenn has also managed to create a workplace environment which fosters a real collaborative spirit; not only enriching our projects, but also allowing us to more fully integrate into the Historic Annapolis team. 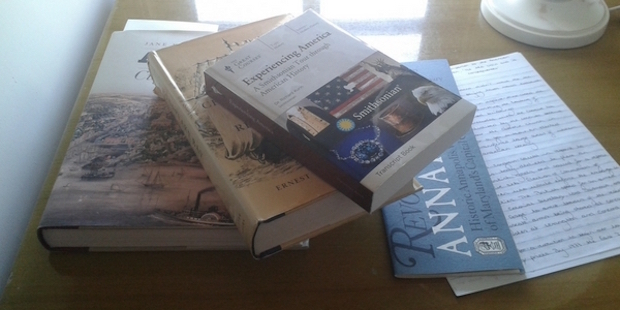 In addition to providing a fulfilling work placement, Historic Annapolis has also gone above and beyond to ensure that all interns get the 'true American experience.' From organising accommodation with local host families, to inviting us along to kayaking and cook-out trips, I've been pleasantly surprised by the immense hospitality which has been shown by colleagues and local people alike. Having visited a number of local heritage spots, next week we'll be taking a road trip to Colonial Williamsburg, where we'll be taken on a behind the scenes tour as well as having the chance to experience all of the tourist hotspots that Williamsburg has to offer. "I've been pleasantly surprised by the immense hospitality which has been shown by colleagues and local people alike"
Though not even halfway through my internship, I'm massively grateful to everybody at Historic Annapolis who helped to make this internship happen. Pandora Hess, who pilots the scheme, was a major help throughout the application process and continues to work incredibly hard to ensure that our internships are rewarding in every sense. Check out our other host stories and get inspired to find your own J-1 program in the U.S.!